Join Stitchin' Heaven and Friends on a 12-night Caribbean Cruise! 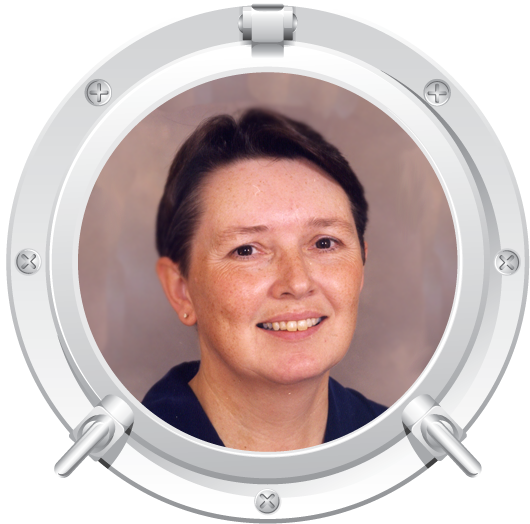 Cruise and learn from quilting experts: Debbie Maddy, Nancy Mahoney & Marilyn Foreman! Where to begin? It can be very hard to relax on Royal Caribbean's Liberty of the Seas, even on sea days, because of the head-spinning array of activities that run from dawn to dusk and beyond! The ship's entertainment staff offers an intriguing blend of options, and everyone, from the most traditional passenger to the completely contemporary traveler, will enjoy something. During the day, if you don't want to sew, you'll find plenty of activities, such as bingo, dance lessons, horse racing, art auctions, rock-climbing wall competitions, bridge play, art and craft workshops and films on the outdoor theatre screen. Nighttime sees a similar variety of entertainment options. The gorgeous main theatre features Broadway-style entertainment or you can try your luck in the 6,459 sq ft, Las Vegas-style casino, with slot machines, dice games, and card tables. As usual, we bring you several quilt projects to work on, taught by amazing and talented instructors and designers in the world of quilting: Debbie Maddy, Nancy Mahoney & Marilyn Foreman! Lots and lots of door prizes and other great surprises on every trip! That's right! Each quilter will be provided a state-of-the-art 330 Bernina machine equipped with the extended table, a quarter inch foot, and an open toe foot. There's no need to bring your sewing machine all the way from home. Visit the Bernina website to see the amazing features of this great machine! During our sewing classes, we will be using spools of Aurifil™ thread. Each cruiser will be provided a free spool of 50wt. thread. Aurifil™ thread is perfectly suited for every quilt project. Learn more about this wonderful thread at www.aurifil.com. Debbie Maddy is a designer, teacher and founder of Calico Carriage Quilt Designs. She loves fabric, sewing—and quilters! She has designed patterns for quilts that are visually stunning but easy to make. Since 1993, Debbie has also shared her enthusiasm for quilting with others through teaching throughout the country. Her greatest satisfaction comes from introducing new people to the art of quilting. In 2002, she started her business "Calico Carriage Quilt Designs" and began presenting lectures and workshops for quilt guilds and shops. In 2005, she was invited to appear on "Simply Quilts" with Alex Anderson. Her episode was "Shining Star." She specializes in traditional-style quilt designs that are made with her easy, accurate No Diamonds/No "Y" Seams technique! With this technique, there are no fussy bias edges and all the quilt assembly is done with straight-line sewing. Instructions are written in an easy-to-follow style, with cutting, layout and piecing diagrams to ensure success. Using her patterns, novice quilters can confidently make beautiful old-style quilts while experienced quilters can enjoy fast, easy piecing with striking results! She has self published twenty seven patterns and six books. 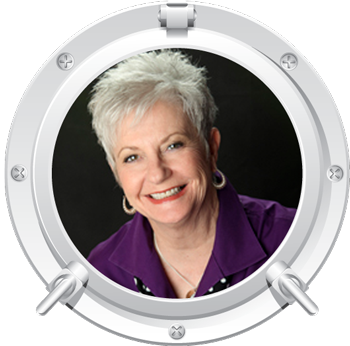 Find out what's new with Debbie at www.calicocarriage.com. Author, teacher, and fabric designer, Nancy has enjoyed making quilts for over 25 years, during which time an impressive range of her beautiful quilts have been featured in over 110 national and international quilt magazines. She has also created over 80 quilt patterns for a variety of fabric manufacturers. Nancy has authored 13 books since 2002, all have been published by Martingale. Her bestselling books include Appliqué Quilt Revival (2008), Quilt Revival (2006), Treasures for the 30s (2010), Fast, Fusible Flower Quilts (2011), Kaleidoscope Paper-Piecing (2012), and Simple Circles and Gentle Curves (2013). She has designed 15 fabric collections, including five 30s reproduction collections for P&B Textiles. Nancy is working on her next book and fabric collection. Nancy enjoys combining traditional blocks and updated techniques to create dazzling quilts. Not considering herself a specialist in one particular area, Nancy's favorite techniques include precision machine piecing, quilt design, and machine appliqué. Nancy has taught many workshops nationwide for guilds, shops, and conferences; including International Quilt Festival (Houston), Minnesota Quilter's Conference, Kentucky Getaway, Road to California, A Mountain Quiltfest (Tennessee), and many more. Nancy believes making a quilt should be fun. In her classes, Nancy's goal is for students to have a good time, learn something new, and make a quilt that they will enjoy for many years. When she's not designing and making quilts, Nancy enjoys traveling to guilds and events around the country, sharing her quilts, teaching her piecing and machine appliqué techniques, and visiting gardens. Visit Nancy's website, www.nancymahoney.com, for more information. Marilyn Foreman enjoys teaching and sharing her love for designing pieced quilts that look complicated yet include basic piecing techniques! Marilyn lives in St. Paul, MN and has been quilting since 1996. She started her pattern company, Quilt Moments, in 2006. As a busy stay-at-home Mom with three kids she finds it challenging to make time to quilt so she uses every moment she can find…..thus Quilt Moments. Over the past 8 years she has published almost forty patterns and a book titled “Kaleidoscope Symphony”. 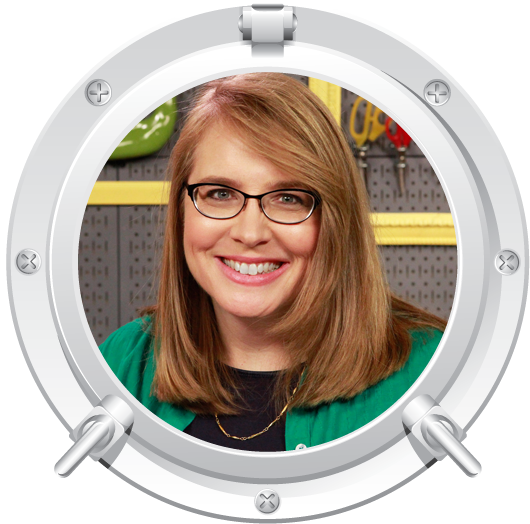 She has a Craftsy class, “Quilted Kaleidoscopes”, and has been published in several magazines. 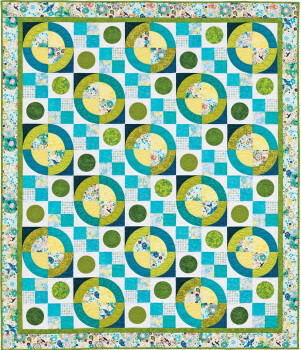 Marilyn likes to use lots of fabrics in her quilts and many of her designs incorporate the option to use a large feature print with easy four-patch kaleidoscope units in the block centers. With a background in analysis, she really enjoys the challenge of making her pieced patterns as versatile as possible so her patterns include a variety of sizes and fabric options. Learn more about Marilyn by visiting her website and blog at www.quiltmoments.com. Road to Success with Silk! Are you ready for a new adventure in quilting? Not ready for “art quilts”? Let’s leave cotton behind for a while and experience the luxury and true beauty of using silk in quilts. Your quilting stitches will dance on the new pallet, embellishing and playing with fabrics and ribbons will bring out the artist in you. This class will give you the ins and outs of sewing with silk and the confidence to cut your first piece. You will learn how to stop the raveling, what needles to use, the best pins and how to make them work to your advantage. Adding texture and fabric manipulation is so much fun you won’t want to stop! We will be offering this in two different color options: Dark and Light. 58 1/2" x 79 1/2"
Nancy loves making traditional quilts - with a new twist. In this class, Nancy will share her machine appliqué technique of using plastic templates and starch for flawless appliqué results. Class will encompass all aspects of invisible machine appliqué including template and pattern piece preparation, tips for laying out perfectly placed designs, and hands-on instructions for using your sewing machine to achieve finished appliqué that truly look hand stitched. This complicated looking quilt is actually easy to construct containing 8 different blocks with straightforward piecing. Once you are done with the blocks you are almost done with the quilt since there are no settings or sashing. Simply fit the blocks together like a puzzle to complete the design and celebrate your quilting adventure! This Celebration Quilt comes in a 72” x 72” throw size. 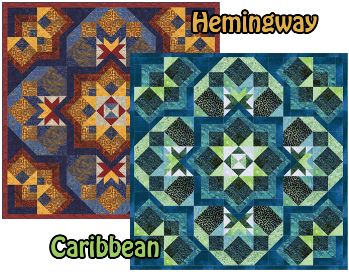 There are two fabric choices, Hemingway Tonga batiks or Caribbean Stonehenge! Our incredible Sail 'n Sew fabric pack includes all of the fabrics and patterns for your projects and they are pre-cut so all you need to do is sit down and sew! The price of the Sail 'n Sew fabric pack is $350.00 and it includes all three of the projects for this cruise. Individual kits can be purchased for $125.00 per project. If you would like a Sail 'n Sew pack, just let us know when you make your Reservation and we'll have a kit waiting for you on the ship. If you do not wish to purchase a Sail 'n Sew Fabric Pack, remember to pack your own fabrics. We will not have fabrics available for purchase aboard the ship. A complete supply list will be sent to you 90 days prior to departure. Click here for the fabric requirements and cutting instructions. Cape Liberty Cruise Port is located on the New York Harbor in Bayonne, New Jersey, and is just seven miles from New York City and three miles from Newark Liberty International Airport. Guests on cruises from New York can enjoy the port's waterfront location and convenience to the Big Apple. Visitors have easy access to everything New York City has to offer. As a symbol of democracy and freedom, the Statue of Liberty is recognized around the world and is synonymous with the United States. You can reach Liberty Island by ferry, departing from Jersey City, New Jersey. Sewing in the conference center! One of the largest islands in the Eastern Caribbean, Puerto Rico's landscape encompasses mountains, underground caves, coral reefs, white-sand beaches and an incredibly massive rain forest that supplies fresh water to most of the island. At the same time San Juan, the capital of the commonwealth, is a big city with a bustling business district, glitzy resorts and casinos, as well as one of the most stunning examples of colonial life in the Western world. When you're in San Juan, don't miss the opportunity to witness the pinnacle of natural beauty by exploring Puerto Rico's El Yunque Rain Forest. It features more than 240 species of trees, hundreds of miniature orchids, and what was once believed to be the Fountain of Youth. St. Thomas is known as an idyllic vacation spot today, but its history is not so peaceful. In the 18th century, the island was at the center of a bustling pirate culture, as swashbuckling pirates such as Blackbeard and Drake traded stolen wares in the port of Charlotte Amalie. This world-renowned Caribbean island is home to amazing beaches, gorgeous sea and landscapes and unbelievable duty-free shopping. While the beaches and ocean are beautiful, there is one thing that really sets St. Thomas apart - shopping. Browse through the shop-lined streets of Charlotte Amalie and find out why St. Thomas is called the "duty-free shopping capital of the world." Shop for duty-free trinkets and bargains on everything from liquor to imported china and crystal. Visitors can bring home $1,200 in merchandise without paying duty - twice the limit of most of the Caribbean! When the Spanish closed their colonial fort on St. Maarten in 1648, a few Dutch and French soldiers hid on the island and decided to share it. Soon after, the Netherlands and France signed a formal agreement to split St. Maarten in half, as it is today. Philipsburg displays its Dutch heritage in its architecture and landscaping. The island offers endless stretches of beach, beautiful landscapes and great shopping. Snorkel at Crole Rock, part of a protected seashore! There has been a marked increase of sea-life returning to the rocky island over the past decade or so. It is not at all unusual to see turtles, rays, barracuda, tarpon and a wide variety of reef fish. One side is very protected, while the other is open to deeper water and all manner of pelagic life. Creole Rock is very popular, and is said to be the most varied and rewarding snorkeling site in and around the Grand Case Bay area. Curaçao is the largest of the six islands that comprise the Netherlands Antilles. It gained autonomy from the Netherlands in 1954, but the Dutch influence is still very visible in Willemstad's architecture and culture. With the growth of the oil industry in Curaçao in the early 20th century, workers and their families came to the island from more than 50 countries, providing a varied and vibrant population. Everyone should experience the sights, sounds and energy of this unique destination. Explore Hato Caves and their mystical underground lake. After crossing the lake, you'll enter two large caverns with ancient Indian pteroglyphs. This surreal underground world is an amazing, memorable experience. Grand Cayman is one of a group of three magnificent tropical islands Christopher Columbus called "Las Tortugas" (the turtles) for the sea creatures he found in the ocean water. The designation did not endure, however, for on later maps the islands were labeled the Caimanau, the Carib Indian word for "crocodile." The name "Caimanas" refers inaccurately to the iguanas native to the islands, which were perhaps at one point mistaken for crocodiles. Among other attractions, visitors to the island will enjoy learning about the turtles, visiting the town of Hell, exploring Seven-Mile Beach and enjoying the undersea world. Experience a once-in-a-lifetime adventure: snorkeling with stingrays at Stingray City Sandbar. These relatively tame creatures will swim right into your arms as they glide around you. They have velvety soft skin and love to have their bellies rubbed. Despite their frightening name, they are very gentle and won't hurt you as long as you stay away from their tails. Galveston Island is Texas' top historic destination. Guests on cruises from Galveston can enjoy 32 miles of relaxing beaches, great seafood, tropical scenery, superb restaurants, marvelous downtown shopping, breathtaking Victorian architecture, numerous antique stores, incredible art galleries, plus tons of attractions, entertainment venues and world-class sportfishing. Probably the most charming way to discover this historic city is by carriage. Take a carriage ride through the Victorian-era streets and let your driver take you back through history. This is where the itinerary picture goes. Say hello to one of the world's biggest and most imaginative maritime marvels - Liberty of the Seas®. This second addition to Royal Caribbean's Freedom class of ships comes fully loaded with an unlimited supply of onboard adventure. The newly renovated Liberty of the Seas® is packed with all the phenomenal onboard experiences you'd expect from our innovative Freedom class of ships, plus new offerings to stir your imagination. Share a high five with Shrek as part of The DreamWorks® Experience. Put on your boogie shoes for hit Broadway musical Saturday Night Fever. Catch a first-run movie in the 3D theater or poolside under the stars on the outdoor movie screen. And finish the evening with a selection of reds or whites at the renovated, now-more-intimate Vintages wine bar. Plus, enjoy all the revolutionary features Liberty of the Seas has always been known for – like the FlowRider® surf simulator, rock-climbing wall, ice-skating rink, Royal Promenade, cantilevered whirlpools, mini golf course, and much more. exciting on-board entertainment, all quilting classes, group activities and parties. will receive a $250 discount. *Port charges, taxes & fees of $293.59 are not included. *Prices are per person, based on double occupancy. Please call for other occupancy pricing. 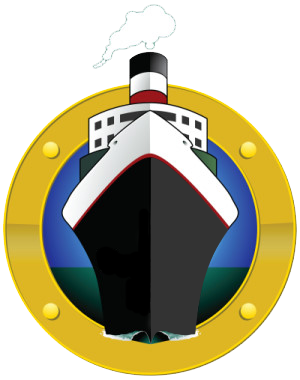 will secure your price and availability..
You will be responsible for getting to and from the ship in Cape Liberty, NJ and Galveston, TX. Gratuities are not included in your reservation costs. Royal Caribbean recommends $3.75 per person, per day to the dining room waiter; $5.00 per person, per day to the cabin steward (or $7.25 if you're in a suite); and $2.15 per person, per day to the assistant waiter. Also recommended is $0.75 per person, per day to the headwaiter. Since we are classified as a group on the ship, Stitchin' Heaven Travel is required to pre-pay these gratuities for our entire group. This is equal to $12 per person per day and will be added to your cruise costs. A 15 percent gratuity is automatically added to bar tabs.